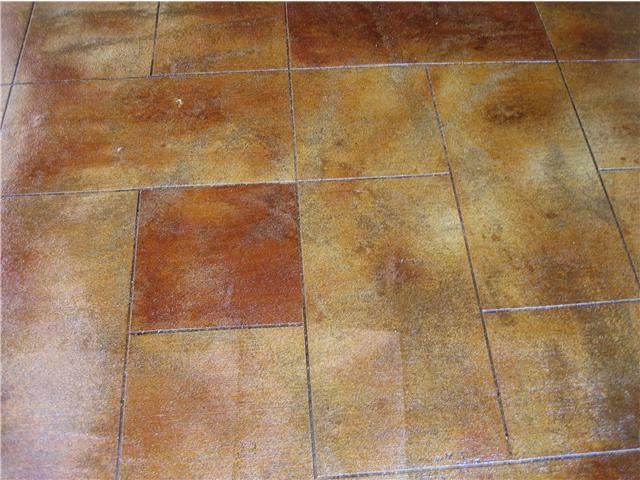 Acid stains and dyes will transform any plain concrete surface into a luxurious and unique floor providing an old world look that resembles natural stone. 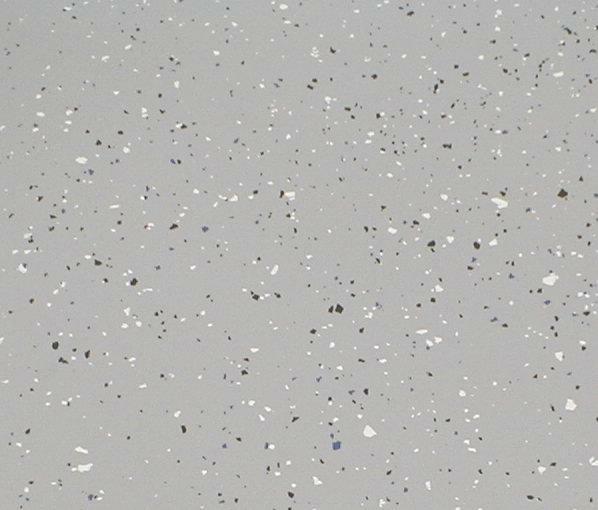 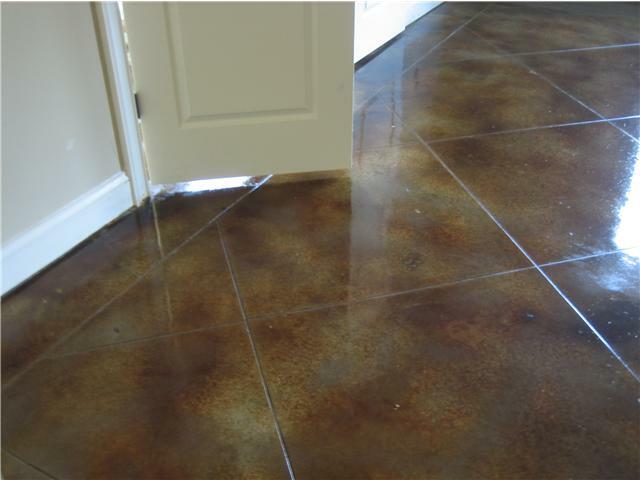 Ø Unique designs that model each concrete floor slightly different than any other as the concrete slab accepts the stain in varying degrees of intensity, creating multiple shades of color variations. 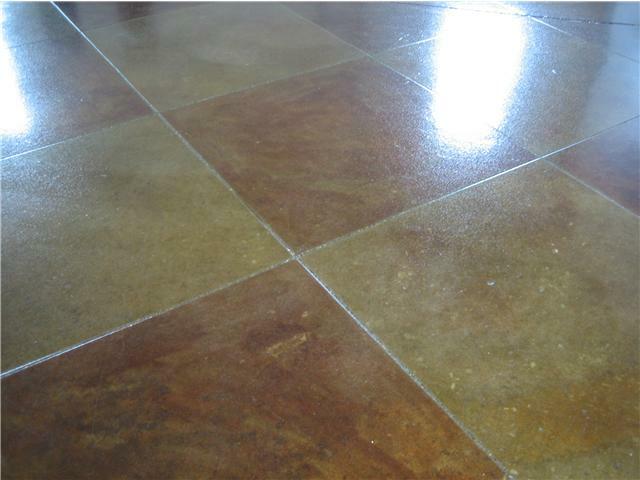 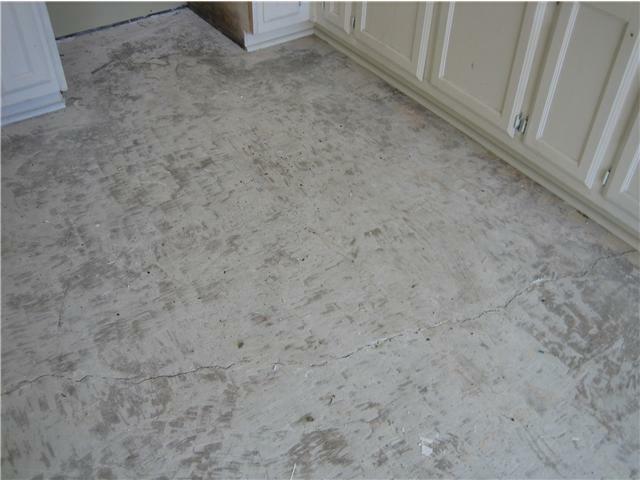 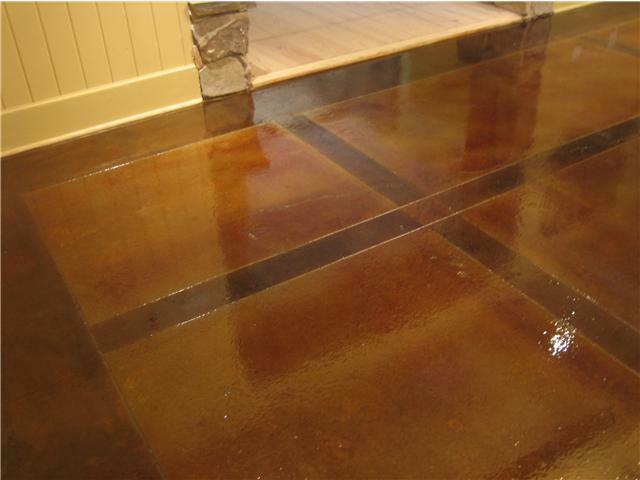 Ø Concrete provides the most durable floor available and is easy to clean and maintain. 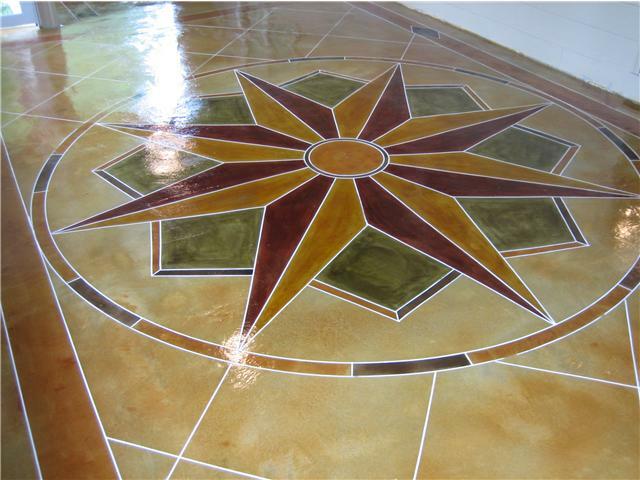 Ø Scoring can be included to add additional unique designs to the floor, whether it is a simple tile pattern or an elaborate custom design. 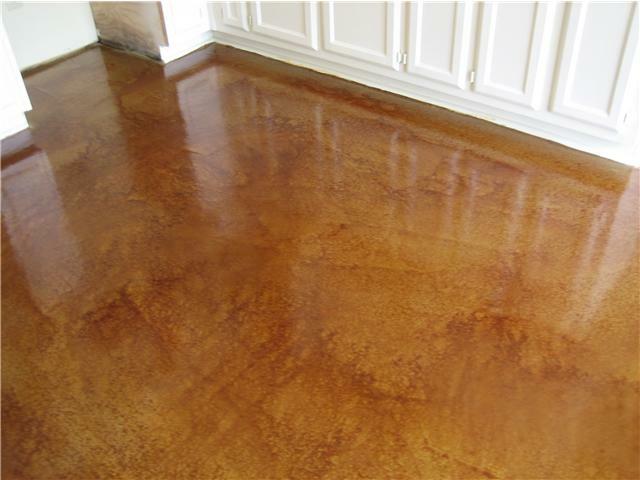 Ø Acid staining is less expensive than most other floor coverings including most tiles, hardwoods, and even some grades of carpeting.